New Delhi, March 25: Not only as a player, Rishabh Pant has matured tremendously as a person in the last one year and the knock against Mumbai Indians is one of the many he will play in coming years, said Delhi Capitals coach Ricky Ponting. Pant, Daredevils' top scorer last season, has set the tone with a blistering 78 off 27 balls against Mumbai Indians during his team's 37-run win in Mumbai last night. "I have seen Rishabh mature in his game and as a person and that won't be the only game he wins for DC. He will win many more games for sure," a proud coach said on the eve of Delhi's match against Chennai Super Kings here. Ponting said while he always knew that the young left-hander possessed x-factor, what has impressed him is his ability to win games. LIVE KXIP 184/4 in 20 Overs| RR vs KXIP, Live Cricket Score of IPL 2019 Match: Rajasthan Royals Sets a Target of 185. 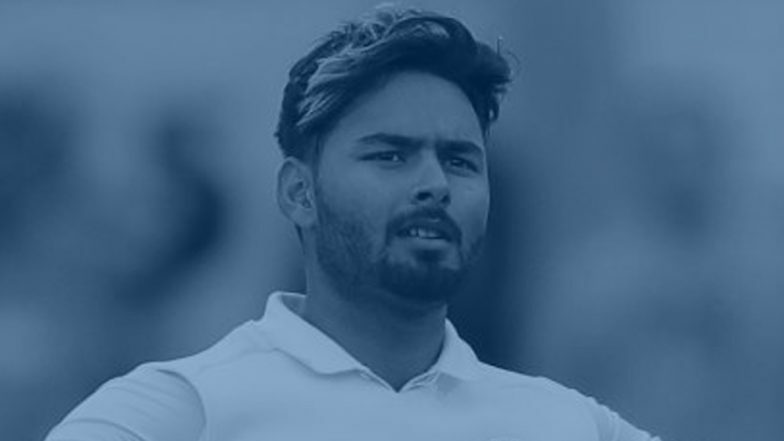 "I have known for a couple of seasons now that Rishabh Pant has got that x-factor but what I like more and more about him is how he is turning that into match winning performances more and more often as well," Ponting said. Terming Rishabh as a finisher, Ponting feels that he is at his best whenever a platform is created. "If you look at the back half of the last edition, he was playing his best when our team was playing its best in those games. Even yesterday, we set up a good platform for him to go and express himself. Rishabh Pant Trolled After His Dismal Performance Behind the Stumps DurIng Ind vs Aus 4th ODI, Fans Miss MS Dhoni. "Colin Ingram did a great job to change the momentum for us and giving Rishabh a platform to go and finish off the innings. But he is something special. You don't see innings like that every day and he is doing it more and more often." Shikhar Dhawan played the role of an anchor compared to his free-hitting self. "That is what we want from Shikhar. Hold the top-order together. Probably, the reason he was more subdued was because it wasn't easy to bat early on. First three or four batsmen told me that there was a bit of seam movement. "We needed Shikhar to play that sort of role and get through the tough overs and that was going to allow Ingram and Rishabh to play the way they did later on. It's been a really encouraging start for Shikhar."